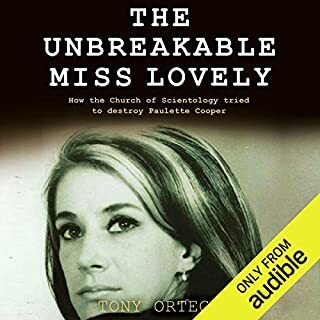 The actual story of what happened is extremely compelling and shocking in certain places and really helps give some insight into Scientology that other books just don't give! The one thing that stopped me almost finishing this book the narrators irritating tendency to not finish words. At first I thought it was something to do with the editing but it does seem to be the narrator. Frequently when he is saying something like "Her father owned many houses" he'll just say "her father owned many house"